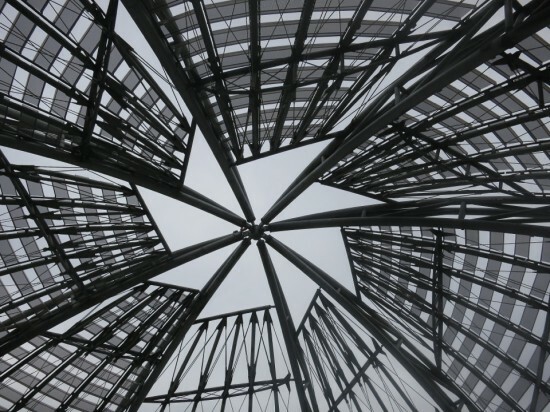 The centerpiece of the New Central Library is its steel-mesh dome, which, Quigley explained, is actually a composite of eight three-point arches. “It’s all about buoyancy,” Quigley said. “It feels like it’s lifting off the building, as opposed to a traditional dome, which is weighing the building down. It’s sort of the anti-dome, really.” The dome’s steel-mesh sails serve both practical and symbolic ends. 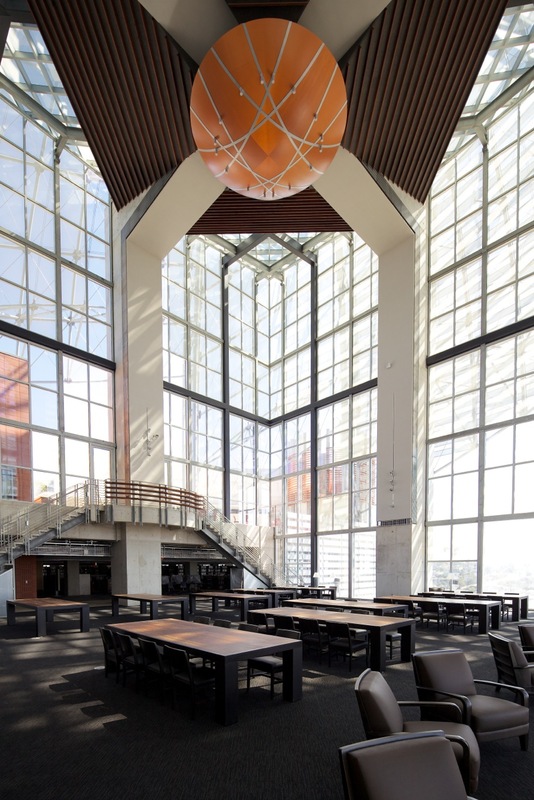 On a pragmatic level, the latticework protects the library’s collections from sun damage while allowing some natural light to filter through, mimicking the experience of reading under a shade tree. At the same time, the dome is a metaphor for self-improvement. “Visually the dome is not complete. 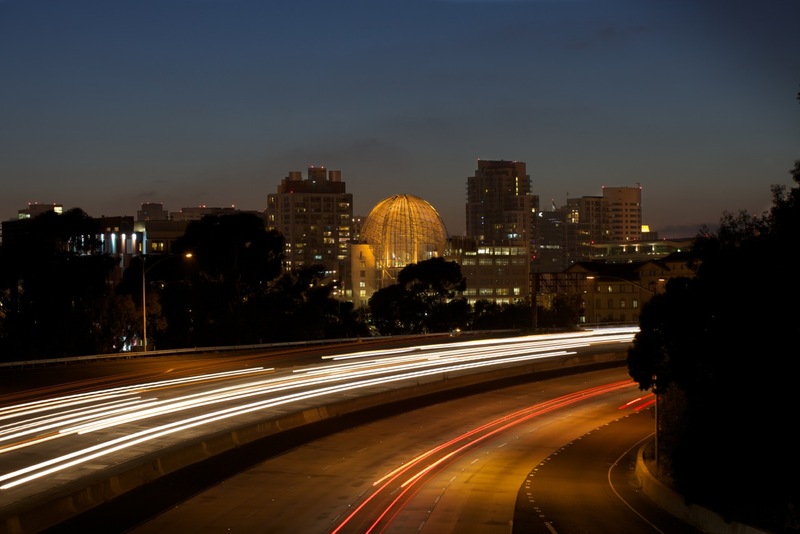 It’s clearly in the act of becoming a dome, becoming something,” Quigley said. The reading room and the library’s other public spaces—including a topiary sculpture court, auditorium, meeting room, and art gallery—are clustered at the top of the building. 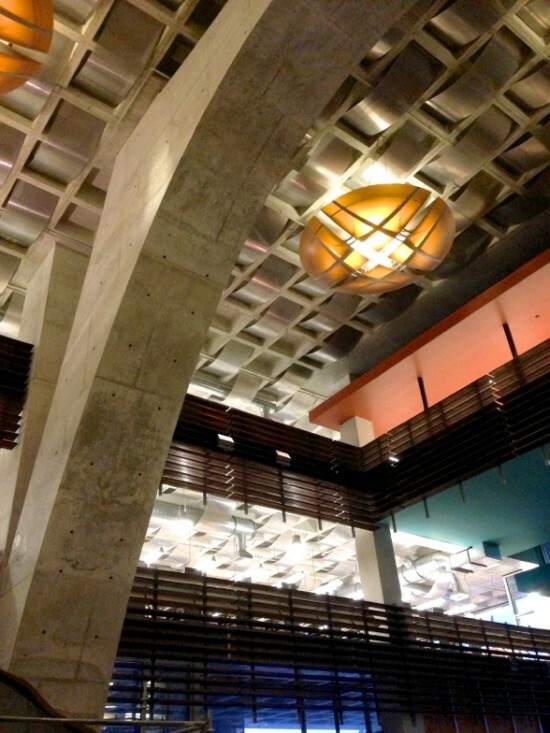 Typically, Quigley said, public areas are relegated to a library’s lowest floors, to facilitate access. But at the design workshops the architect organized, residents pointed out that rooftop views are usually restricted to those who can afford a penthouse apartment. “If an architect had suggested it, they probably would have revoked our license,” Quigley quipped. But the New Central Library wasn’t just the work of an architect. It was a product of decades of public debate and reflection, according to Quigley. “In my mind a building that does not function emotionally is not utilitarian. This is what we needed, permission from the grassroots,” he said.